As most refractometers are designed to work with saltwater and brine solutions, this specific refractometer offers you something quite different to what you’re used to and I do mean that in a positive way. 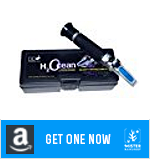 DD Aquarium Solutions ATC Seawater Refractometer, the H2Ocean, is not optimized to be used and calibrated for saltwater, but for seawater. I can hear you think “tomato, tomato” (you’ll have to do the sound effects and pronunciation that goes with it yourself), but there is a fundamental difference. Besides sodium chloride, what saltwater basically consists of, seawater contains other elements like calcium and magnesium. 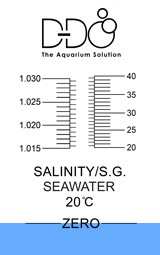 When we try to measure the salinity level of seawater with a saltwater refractometer, these other elements will cause an effect to the refraction index and will give you a slightly different result (as it doesn’t take into account the extra elements) compared to a seawater refractometer. 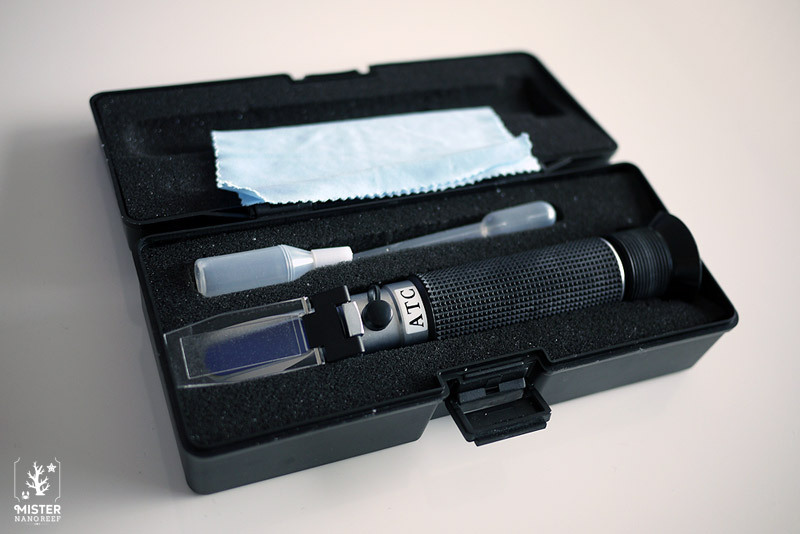 The DD refractometer comes in a sturdy plastic box with foam covering on the inside. 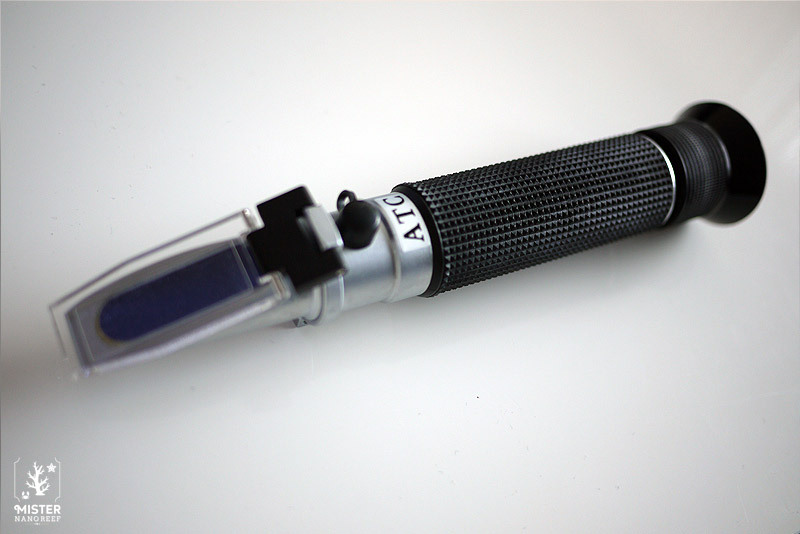 As far as build quality I must say it’s what you can expect for a refractometer in this price range. It’s comfortable to look through the lens and the scale is very clear. (turn to adjust.) I’ve been using mine for about 2 years now and it remains quite accurate without having to calibrate it every time I use it. But I would advise to calibrate at least once a month anyway to be sure the scale is still on point. It says that right on the box, but what does it mean and does it hold up? the DD Aquarium solution seawater refractometer will adjust the reading depending on the instrument’s and room’s temperature. 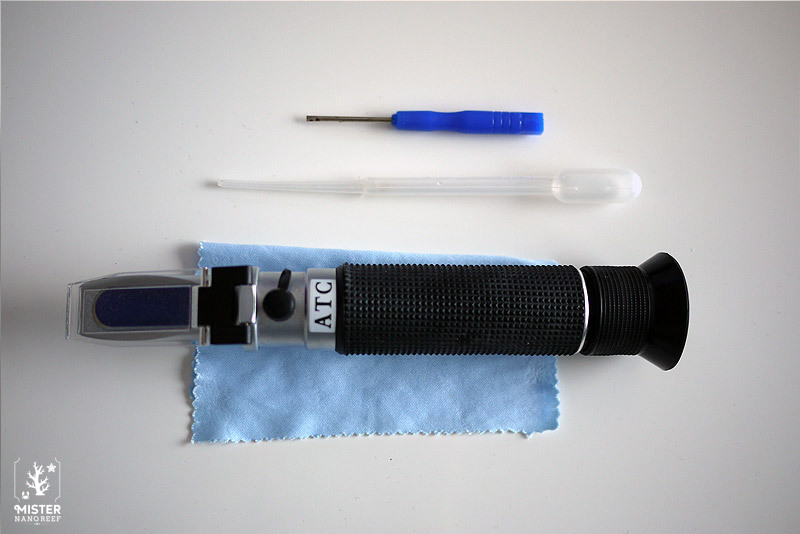 But, ATC does not mean you can use the refractometer straight away or that it will sort out itself in any situation. 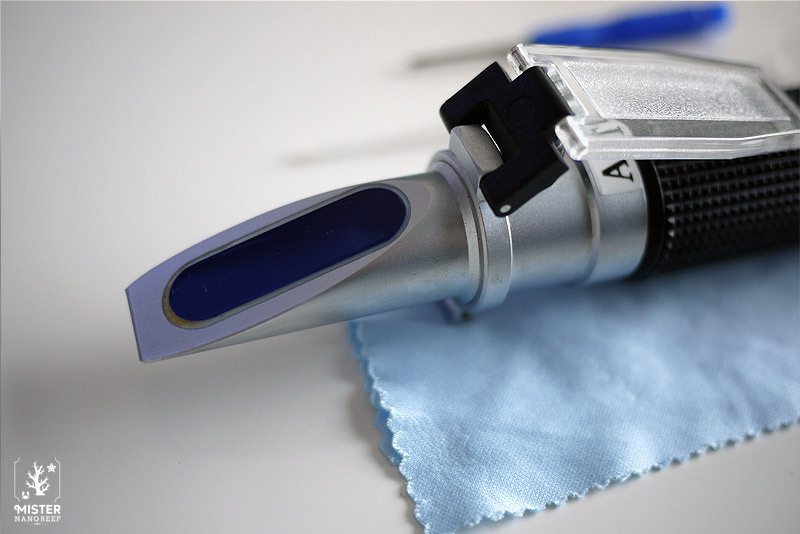 Best is to keep and calibrate the refractometer in room temperature (It is the temperature of the refractometer itself that is important.) and use it in a temperature range of 10°C (50°F) and 30°C (86°F) as this is the range where the refractometer will compensate for shifts without affecting accuracy. 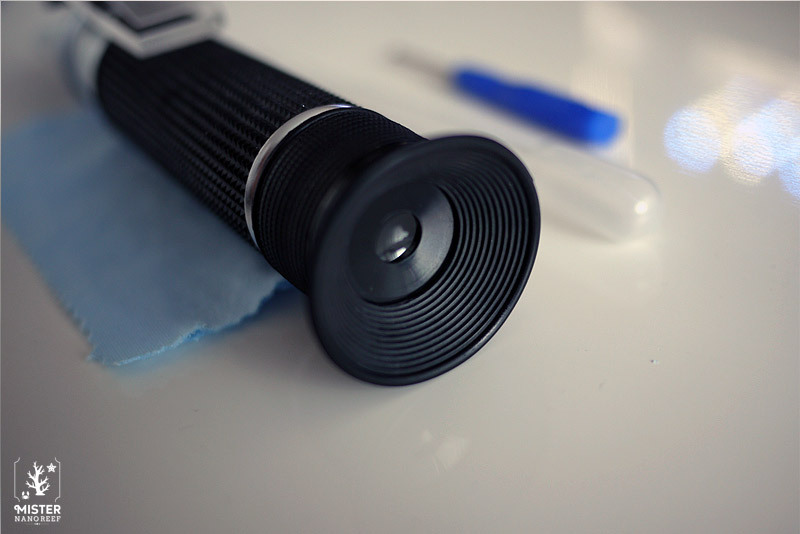 You should calibrate the refractometer at least once a month. Calibration can be done with a calibration fluid of 35ppt. You put some onto the glass plate with the pipet, look through the lens and if the line is exactly at 35ppt, you’re good. If it is lower or higher, you can take off the black plastic cap above the ATC writing and use the provided screwdriver to calibrate. Look through the lens and turn the screw until the line reaches 35ppt. 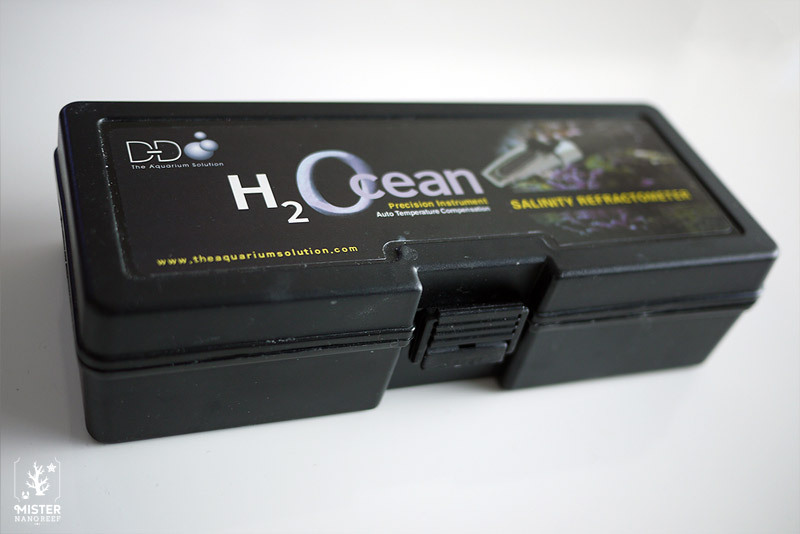 You could also use RO or DI water and look at the zero scale. But I would advise to get a calibration fluid as you have to be really sure that your RO water is pure to not get inaccurate results. When it comes to refractometers, this one has been with me from the beginning and has done a perfect job so far. 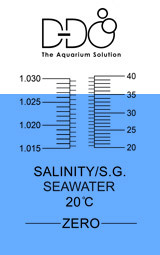 Salinity is the life elixir of our tank’s inhabitants so do not save on a good “salinity measurement device”. 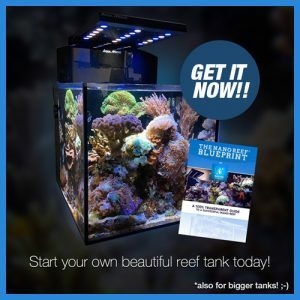 And let’s be honest, 59,99 dollars in our hobby isn’t all that much so I would advise to spend the extra bucks and you’re sure you get reliable information concerning the salinity level of your tank water. More questions? Let me know in the comments below!